Hidden Objects-Halloween Room info about the game-Games2Rule. 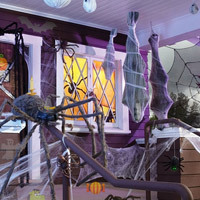 In Hidden objects Halloween Room your objective is to spot all the given hidden scary objects in the room before the time is up. Good luck and have fun! You can also use hints if you are stuck. Good luck and have a nice difference finding!